ISOLIT was created to satisfy a protein market thirsting for a protein supplement that was equally delicious and packed with protein. The result is a protein powder containing 100% pure whey protein isolate that mixes easily and delivers the mouth-coating taste and texture of whey concentrate. No longer do you have to choose between a great tasting protein and one that’s high in protein, yet easy on the digestive system. 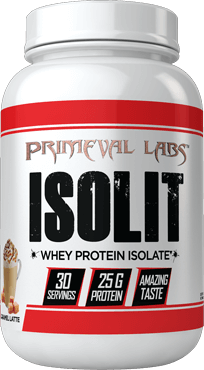 ISOLIT redefines the taste, texture, and palatability of whey protein isolate. The vast majority of protein powders on the market contain whey protein concentrate. And while there’s nothing inherently "wrong" with concentrates, they suffer from a lack of standardization. You see, whey protein concentrate can range anywhere from 35-80% protein by weight depending on what quality the manufacturer chooses. On top of that, protein powders aren’t required to list which grade of whey concentrate they contain. That means you could purchase a protein powder containing only 35% protein by weight with the remaining 65% consisting of carbohydrates, fats, and fillers. That’s hardly a “protein powder” by our standards. This product is delicious. It digests well and is super clean. It mixes well with oatmeal and cream of wheat. It also drinks well. The only complaint is the high price tag. Please lower the price. Whey Protein Isolate, Coconut Oil, Corn Syrup Solids, Sodium Caseinate (a milk derivative), Mono & Diglycerides, Dipotassium Phosphate and, Sodium Silico Aluminate (Jerzee® blend), Natural Flavors, Sucralose, Xanthan Gum, Sodium Chloride, Acesulfame Potassium. 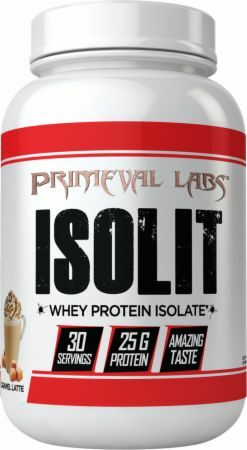 Directions For Isolit: As a dietary supplement, mix one scoop in 8 oz. of cold water.